The museum has recently acquired an exciting new object which will help us tell the story of how women in Britain acquired the vote. 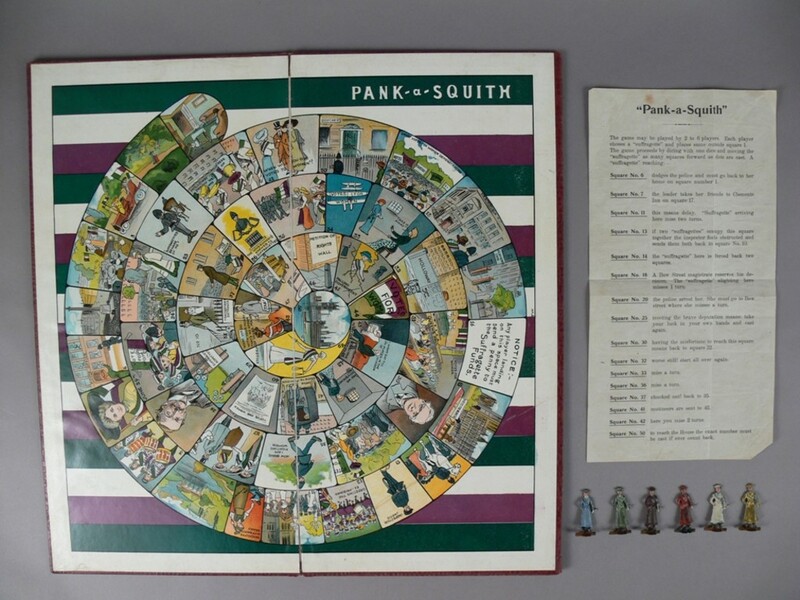 The board game, Pank-A-Squith, was produced in Britain in the early 1900s and named after two people central to the story of British women’s suffrage: Emmeline Pankhurst and Herbert Asquith, British Prime Minister from 1908 to 1916. 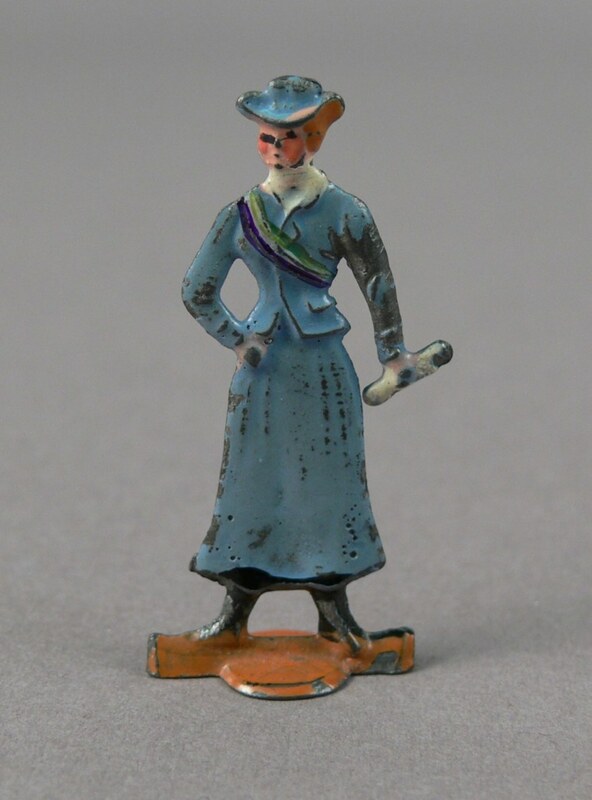 Emmeline Pankhurst was the principal founder of the militant suffragette organisation, the Women’s Social and Political Union (WSPU), which formed in England in 1903 in response to the refusal of Prime Minister Asquith’s government to give women the vote. Women who joined the WSPU used violence and broke laws in order to be arrested and sent to prison, bringing attention to their cause. Many, including Pankhurst, were sent to London’s Holloway Prison on numerous occasions, and it became common for women to undertake hunger strikes while incarcerated. The WSPU had shops selling fund-raising merchandise all over London and in many country centres. The Pank-A-Squith was first sold in WSPU shops in 1909, with the aim of highlighting the cause of votes for women in a fun and appealing way. 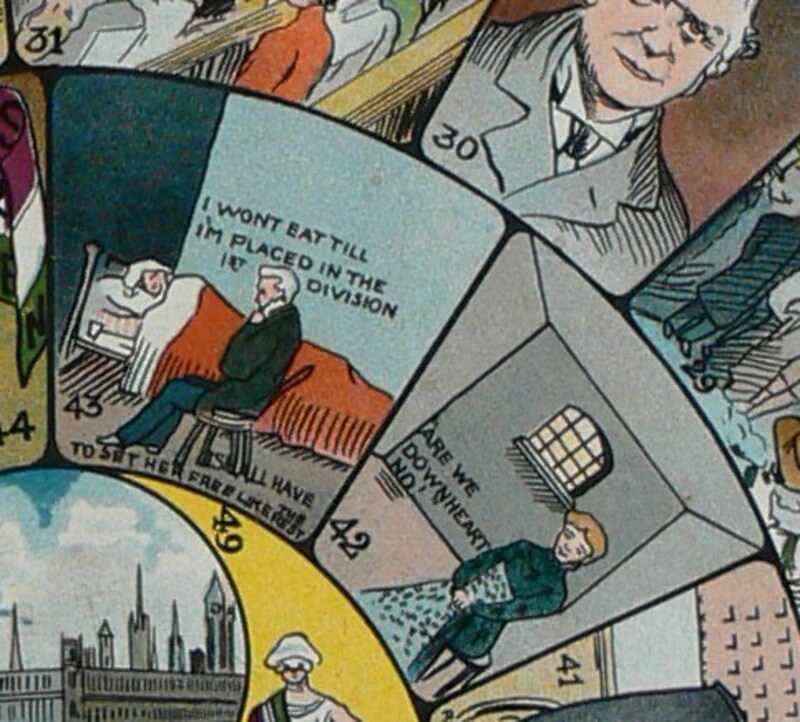 The game is a traditional spiral of squares, where players start on the outermost square (at home) and through a series of events, including rock throwing and being thrown in prison, end up at the British Houses of Parliament, having successfully petitioned for votes for women. 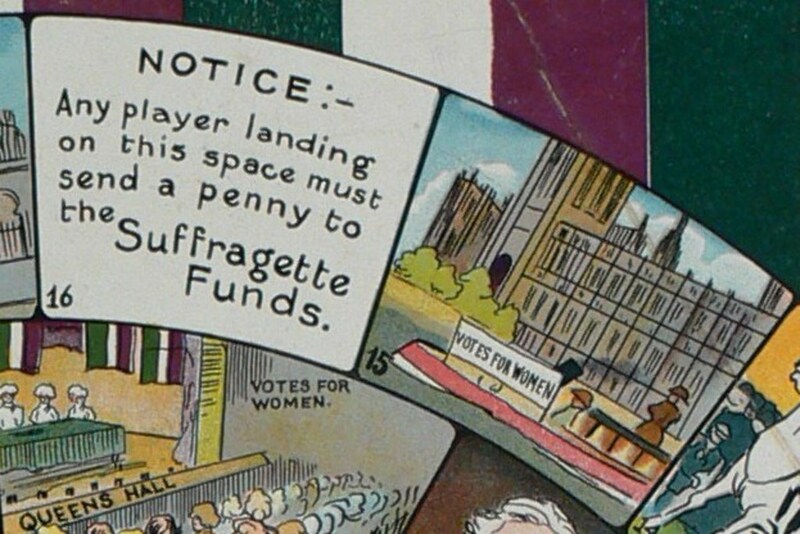 Six lead figures wearing sashes in the suffragette colours of green, white and purple were used as tokens, and although the game appears light-hearted it depicts serious events. In square six, women are seen throwing stones through the windows of the Home Office, square 25 shows Emmeline Pankhurst being arrested on 29 June 1909 after she struck a policeman in the face several times, and square 43 shows a woman in bed in prison, refusing to eat. Women on hunger strikes were frequently and brutally force-fed, with many sustaining serious and at times life-threatening injuries as a result. Although there are examples of the Pank-A-Squith in some British museums, it appears that the museum’s copy of this intriguing game is the first in a public collection in Australia. Its links to Australian democracy are clear: Australian women had won the right to vote by 1902 and they were a source of inspiration and support to British women during their long and bitter struggle for suffrage – which was finally achieved for all in 1928. The museum will have the Pank-A-Squith on display during its conference Women, Leadership and Democracy in Australia, being held at the Museum of Australian Democracy at Old Parliament House this December. 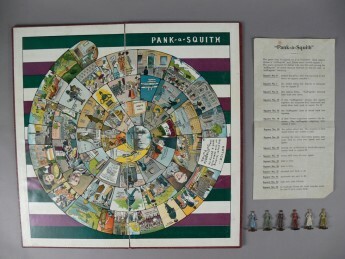 The Pank-A-Squith board game with its set of rules and six lead tokens. The game was made by a leading German company, and sold by the Women’s Social and Political Union in its shops throughout Britain. Libby Stewart is the Senior Historian at the Museum of Australian Democracy at Old Parliament House, Canberra. She was previously a historian at the Australian War Memorial, Canberra. She has curated exhibitions and published in the areas of the representation of women leaders in museums, Australia’s involvement in the Vietnam War, and Australian nurses in the First World War. View our ticketing terms and conditions. Old Parliament House is a Corporate Commonwealth Entity within the Communications and the Arts portfolio.